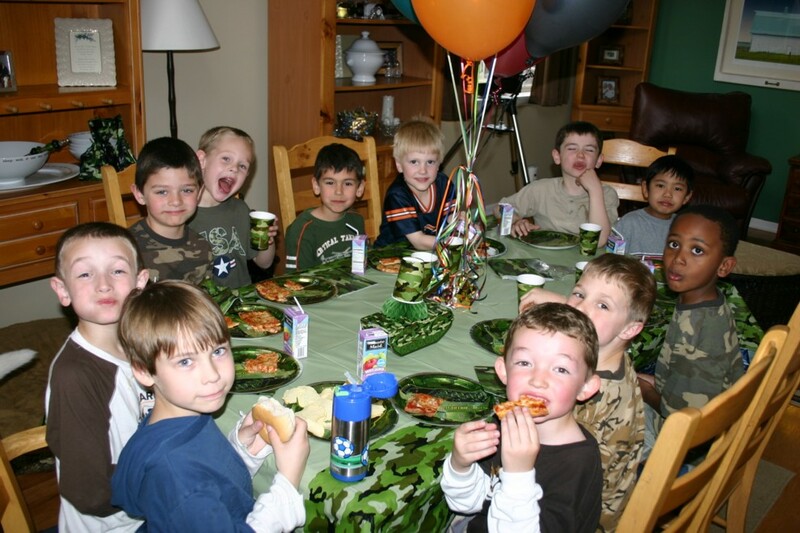 Pictured above is Cody's sixth birthday party. It was a hectic affair. He wanted an "army" theme since he is into all things "army" related, which is pretty cool. 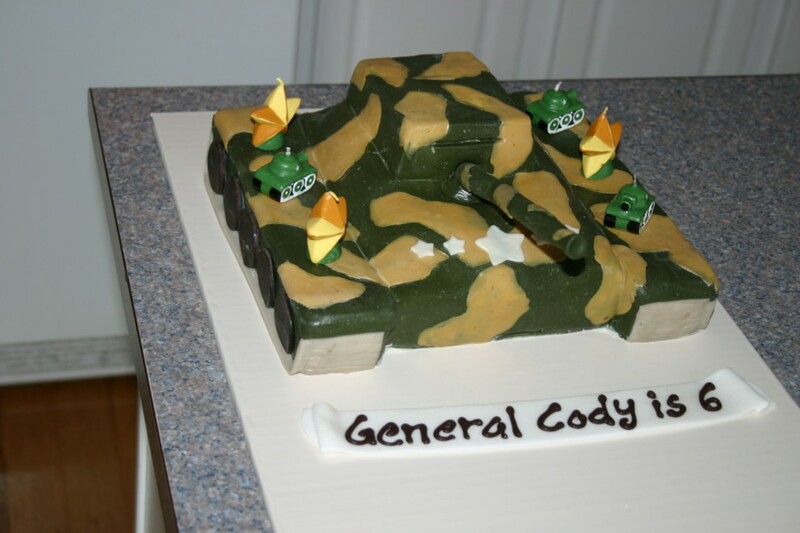 Check out the cake which was done for us as a tank. Very cool cake. After Cody blew out the candles, the kids all grabbed whatever weapons were at hand, including nerf dart guns and Jedi light sabers, as well as more conventional weaponry and spent a few hours with war games. Afterwards, we grabbed their golf clubs and headed over to a local park to loosen up their swings. All in all, I'd say that Cody had himself a great 6th birthday.